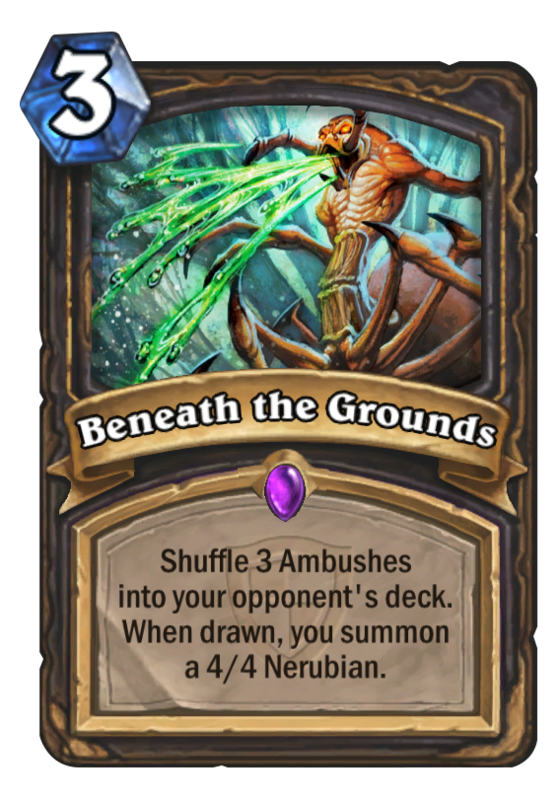 Beneath the Grounds is a 3 Mana Cost Epic Rogue Spell card from the The Grand Tournament set! When you draw this, summon a 4/4 Nerubian for your opponent. Draw a card. In this weeks tavern brawl i found a potential glitch or problem with this card in some functionalities of it. 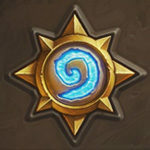 if your opponent has 10 cards in hand and they draw an ambush the ambush is not summoned instead the card is burned. also your opponent indeed does draw an additional card after the ambush is drawn. For example and this just happened to me, if 2 Ambushes are stacked on top of each other. then both of those cards will be drawn and then a card originally in your opponents deck will be drawn. The question is, does he draw another card after the Ambushes? If so, then it is awsome. If it doesn’t, then ig adds a total of 6 cards to you enemy, wich is the 6 cards advantage you get from gang up…and you would make more dmg from fatigue than from this guys. So wouldn’t be great then…. Or would habe to make some big changes to play around this. This is what Iron Juggernaut shouldve done. 3 cards with 3-5 damage each. Incredible card. Makes me want to stop playing. 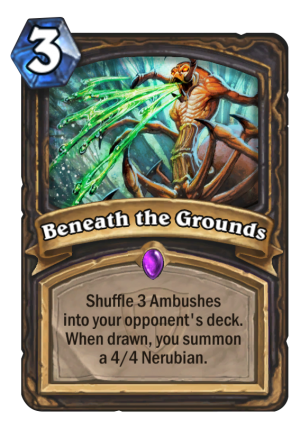 It would be really intereseting to now, if these “Ambushes” let your opponent draw another card. If not, this could easily be one of the best control cards in the game.